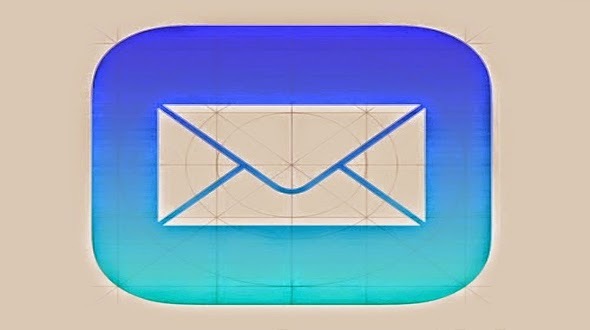 Hi everyone today we are going to share some cool Tips that will make your life easy in handing the mail option in iOS 8.1. These are the tips which you can use to organise your mail box and get maximum of it. Most of these tips are new to iOS 8, but we’ve taken some of the cool feature of iOS 7 as well which you might not have found yet. So let’s start, hope it will help you. 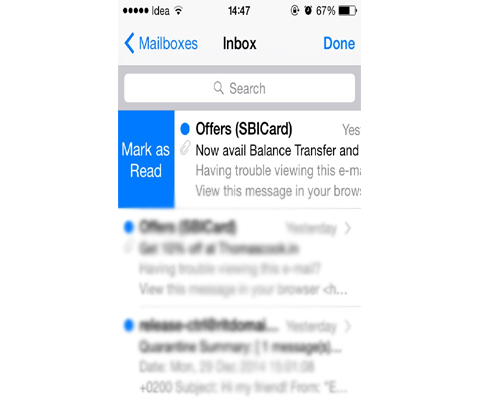 Mark as a Read is a cool feature which helps you to mark the bunch of mails from the conversation as read at once. To find the “Mark As Read” icon you have to go to inbox and swipe from left to right. Swiping from right to left reveals quick actions with no of option which will help you to find the number of things. Under more option you will get reply, forward, flag, mark as read, move to junk, or notify you of future messages in the particular conversation. While Flag and Trash do as the name suggest. This is cool feature for the mail which you don’t want to read and directly delete it from the mailbox. So once you face this issue you have to continuously swipe from right to left on an email in the inbox it will delete it, without you having to swipe and then tap delete (Trash). 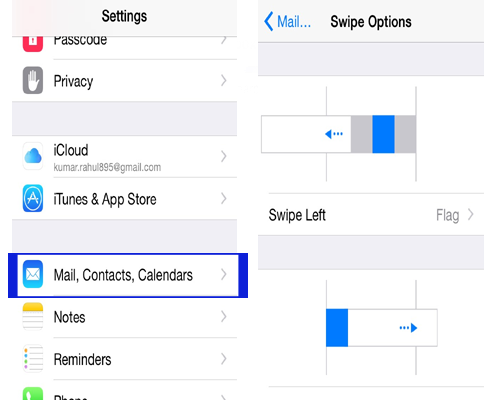 All the above option in swipe is predefined in the mailbox, but if you want to change the swipe options you have to go to Setting > Mail, Contacts, Calendars > Swipe Options and then change the option which will be available for you once you swipe from left to right or right to left. The option you get there is limited but it is handy ones. 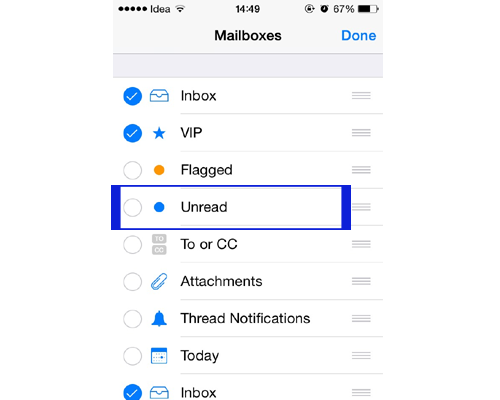 This option has really helped me a lot personally, when you receive a lot of mails in a day, all mails are not as important as others to be replied instantly so once you are free you can see those mails and reply at your free time, but searching those is a big task, so finally iOS8 has an option by which you can see the unread emails in your mailbox. To find the option got Mail > Mailboxes > Edit and Select Unread. This is one of the cool features for the iOS user by which you can create a contact book from the mail signature. So when you get a mail from someone and they’ve got a signature, Apple now reads that information and asks you whether you want to add it to a contact. 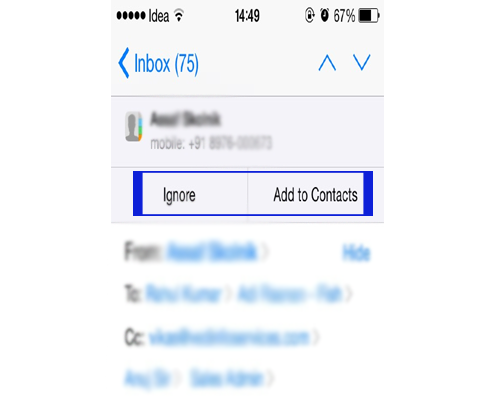 If you don’t want to save the contact you can simply ignore it or press on Add to Contacts button at the top of the screen. If you are waiting for a specific response from an email and don’t want to have keep checking your phone every two minutes you can opt for iOS8 to notify you. You have to just go to the message you’ve received tap on the flag icon at the bottom left of the screen and then select Notify Me. Conform your decision and you are done once the reply will come iOS8 will notify you on the same. 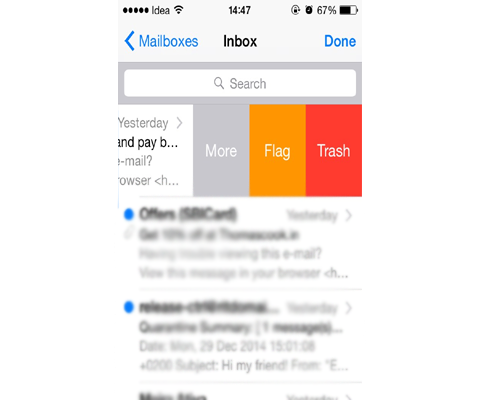 Hope you have liked the post and will help you in making your working easy with the Mail Box on iOS8. You can subscribe to our RSS Feed and all these tips will be delivered to your mailbox instantly as it get live on the blog.